English, Spanish, French, Vietnamese, Cantonese, German, Mandarin, Russian, Korean, Portuguese, and…. you name it! Just ask and we’ll find a way to bring languages services and information to you, too! And that’s because these are just some of the readily available languages at ECIRMAC, short for East Central Illinois Refugee Mutual Assistance Center. In Champaign/Urbana Illinois, the community is blessed with the East Central Illinois Refugee Mutual Assistance Center; it is a unique cultural gem in an already diverse area, and the need for places like ECIRMAC grows every day. 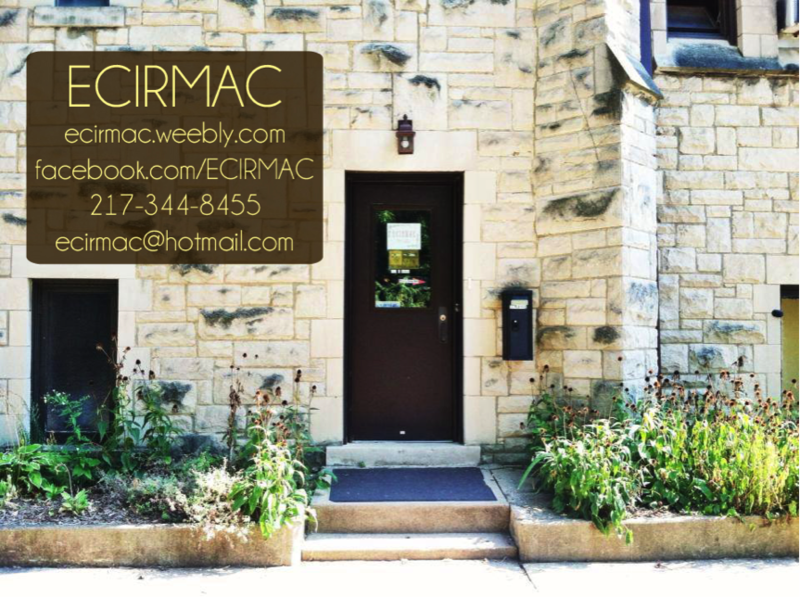 The mission of ECIRMAC, as mentioned on their website is to provide services essential to refugee and immigrant resettlement in East-Central Illinois and to aid in the exchange and preservation of their respective cultures. It serves as a firm and stable plug in the hole left by current language planning and policies in regards to information, assistance, paperwork and applications – all are made available in languages not generally provided by government sources. Advocate and liaison in clients' places of employment, schools, hospitals, courts, with landlords, etc. As a volunteer there and their Social Media Manager, I can say that their services extend far beyond what is listed above – it’s truly an amazing place to work and experience. Do you have a place like ECIRMAC in your town? Have you checked? It’s worth a look. So, how does the community interact with ECIRMAC? Well, for starters, ECIRMAC is community built, community run and community frequented. It’s a great example of grassroots language activism. It was started in the 1980’s by Vietnamese Refugees in order to help others like them adjust to life in the USA. Support for ECIRMAC comes from businesses and donors in the area. Clients are anyone in all of East Central Illinois who need help with anything. Because its so community based, the languages and services at ECIRMAC fluctuate with current trends. At its inception, ECIRMAC was heavily Vietnamese but now the majority of clients are Spanish speakers. In order to accommodate growing diversity ECIRMAC has added other European and non-European languages, such as English, Spanish, French, Vietnamese, Cantonese, German, Mandarin and Russian to the list of languages services and information are readily available in, and many other languages such as Korean, Portuguese and others can be arranged. As you can see, ECIRMAC is functioning at full speed in order to make up for lack of government resources in these languages. How is ECIRMAC language in action? Well, because language is the main focus. Translation is probably about 90% of daily work. At any given point, it is possible to hear multiple languages cramming the air space of the tiny office. Each desk is ripe with papers, brochures, pamphlets and more all spanning a variety of languages. Volunteers field calls in English and Spanish, and battle their way through French an others in order to get the clients their answers. The language types at ECIRMAC are also broad. Legal work, applications and documents are written, read and translated in formal and professional styles and registers while in-office conversations are held in more casual or colloquial ones. As is often the case with Guatemalan clients who speak an indigenous language and not Spanish, both client and volunteer/case worker piece together broken Spanish and English until the mission is accomplished. Cultural ideas, practices and boundaries are respected and explained in an attempt to marry the best of the client’s existing culture and the new American culture they need to assimilate to. In short, ECIRMAC is a pretty amazing place and a unique life-experience. They offer so much and ask for so little, providing opportunities for community members and volunteers alike. Interested? Find a refugee center in your area. There isn’t one? Start one! The author of this blog entry is Skye Maclean, a senior at the University of Illinois. She is majoring in an Individual Plan of Study for Techno-Cultural Studies. Skye is planning on running social media for crosscultural organizations and non-profits in the future. She has studied Spanish, French and Russian at length and is an avid traveler. She wrote this text in the seminar LING 418, Language and Minorities in Europe.